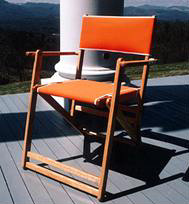 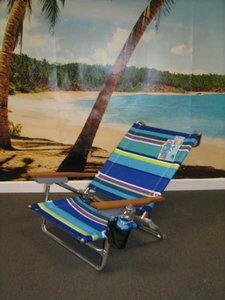 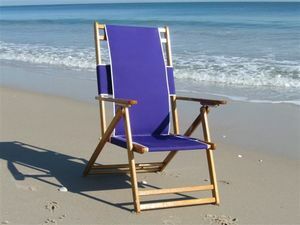 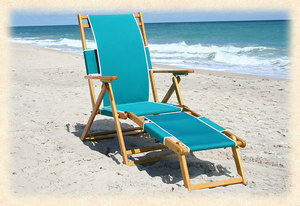 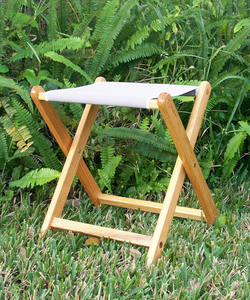 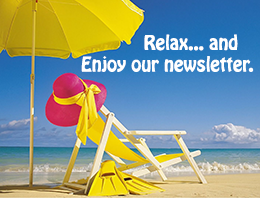 The Outer Banks Beach Chair is another example of the durable and esthetic offerings or Blue Ridge Chair Works. 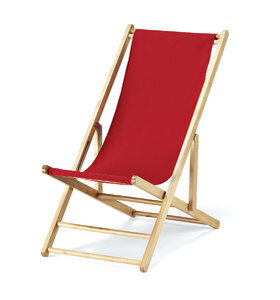 Made from solid Ash hardwood with a Danish oil finish, this chair spares no expense with it's stainless steel hardware. 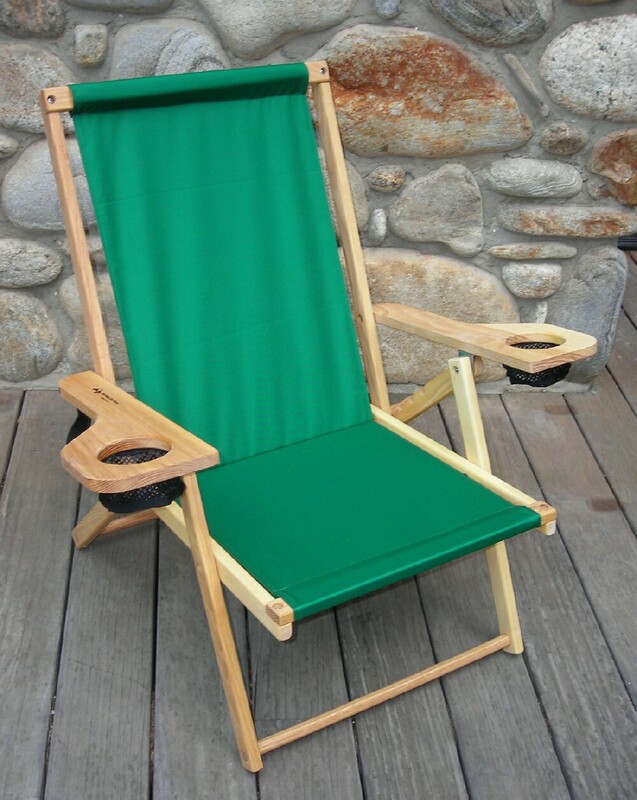 Each armrest sports an oversize drink holder with heavy duty mesh bottom. 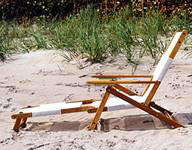 The four position recline adjusts from upright to prone positions (not completely flat). 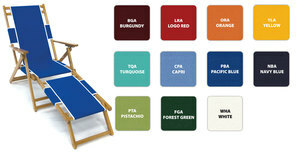 Fabric is durable polyester and comes in Forest Green, Atlantic Blue or Navy Blue.